Adrian Agulto had these words to say when asked about turning a passion into a business venture. He certainly knows his stuff – after years of developing a passion for food photography, he finally decided to turn the pastime into a business, and is now the proud founder and president of I Shoot Food Manila. After graduating in Fine Arts from UST in 2006, Adrian worked as a Creative Director at Cravings Group of Restaurants, a job which he enjoyed and excelled at for eight years. In the latter part of his career at Cravings, he developed an interest in photography. After a little experimenting with his camera, various online tutorials and much self-study, Adrian refined his photography skills not to earn but just to learn. “I didn’t identify it as [my passion] at first; its just like a hobby that I like to do,” he shares, stating that he wasn’t planning to turn the craft into a long-time career. Neither did he plan to start a photography business, but after eight years at Cravings, he began to aspire for something more. He started off slow, developing the brand and doing his marketing on social media, building up a portfolio, and finding contacts in the industry. 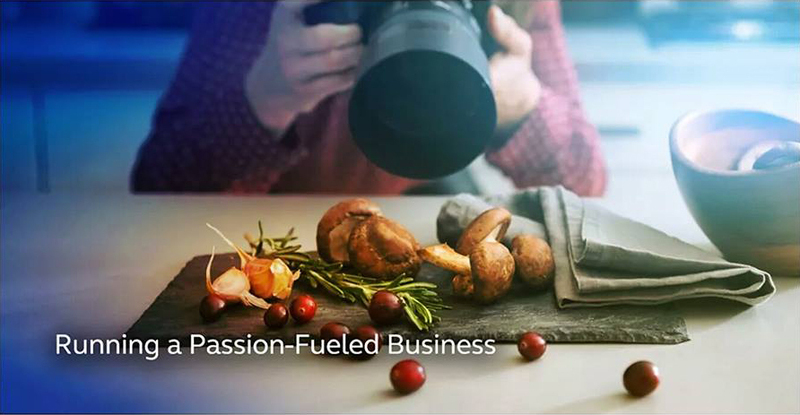 He gained traction after some restaurants took up on his proposals to shoot their products, and eventually realized he could offer food photography services. From then on, I Shoot Food has been his full-time passion as well as his bread and butter. At the same time, there will probably always be a market for food photos. When asked about why he chose to shoot food, he shared that besides being a necessity, it brings people together and should be celebrated. So what’s great about turning your hobby into a business? For Adrian, it comes right down to having passion for what you do. If there are any downsides to this, they’re challenges rather than obstacles. Adrian admits that because so many people take photos nowadays, there is much competition – and in the end, it comes down to your skill versus that of others’, all of whom probably have the same passion for the craft. He adds that the skill isn’t really measurable as well, seeing as photography is a form of art. He acknowledges that there are some slow times when your style doesn’t match certain clients’ needs, but generally there are no downsides to doing what you really love.